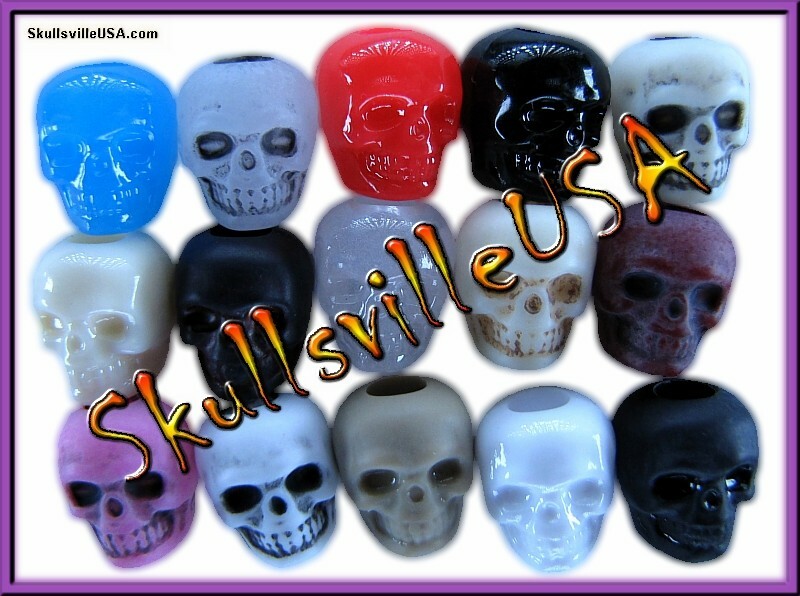 for all of your jewelry, crafting, paracording and art projects. most IOMC customers are purchasing! 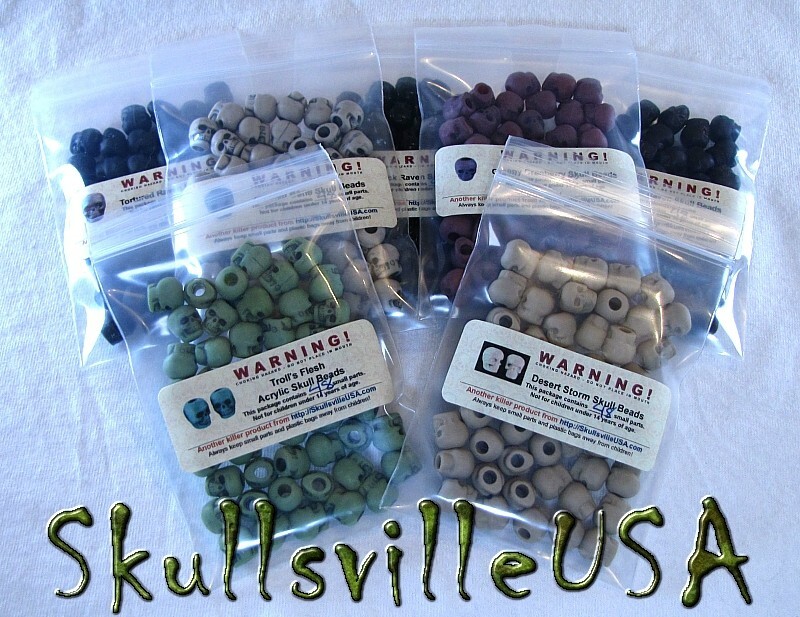 Perfect for craft & paracord projects. 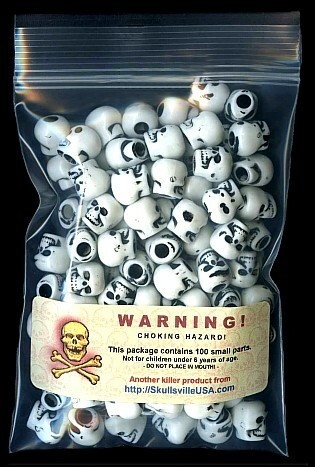 to make a necklace or key chain. to make a pencil holder. Or just fill your favorite jar with them! 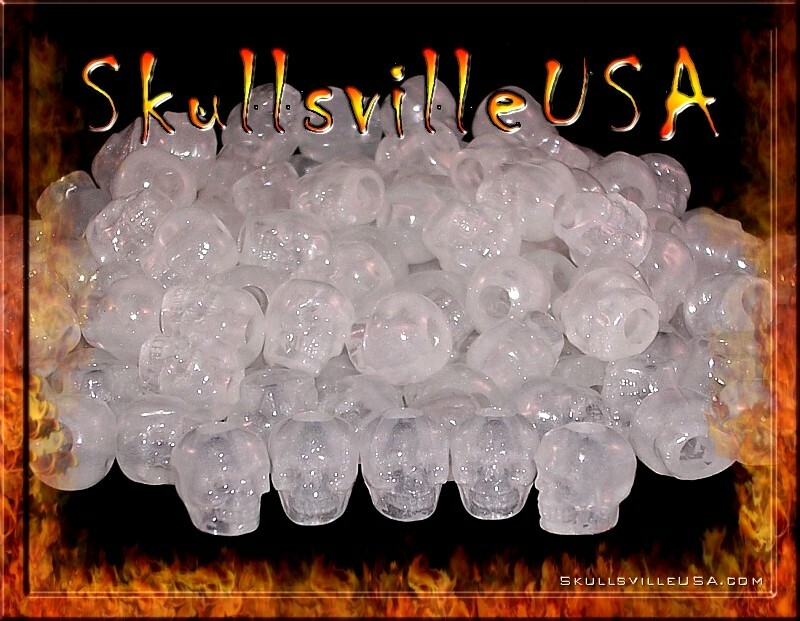 with your skull beads & water. at home or at the office! 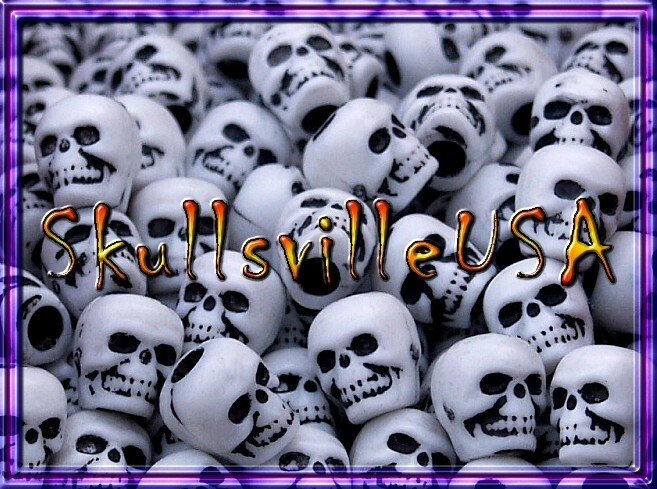 A fun item to place anywhere, anytime! 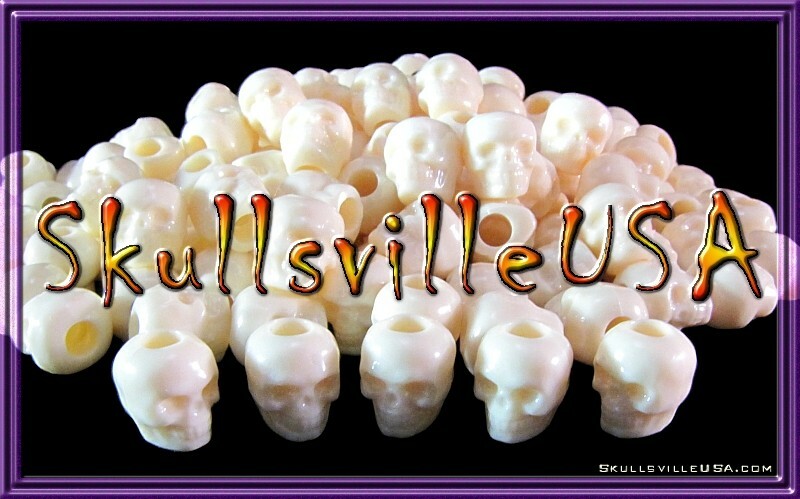 "Ivory" "Classic" and "Bone White" Acrylic Skull Beads. while the "Classic" has more of a glossy, smooth finish. 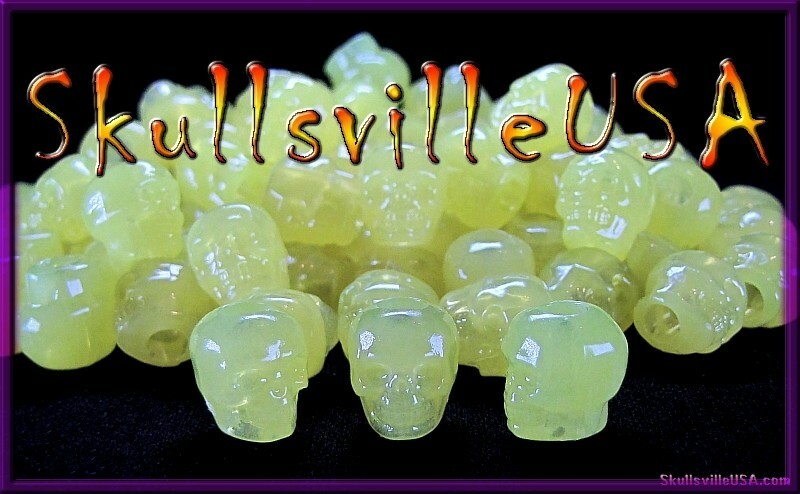 96 Ivory Ghost Acrylic Skull Beads. This special offer may end at any time! 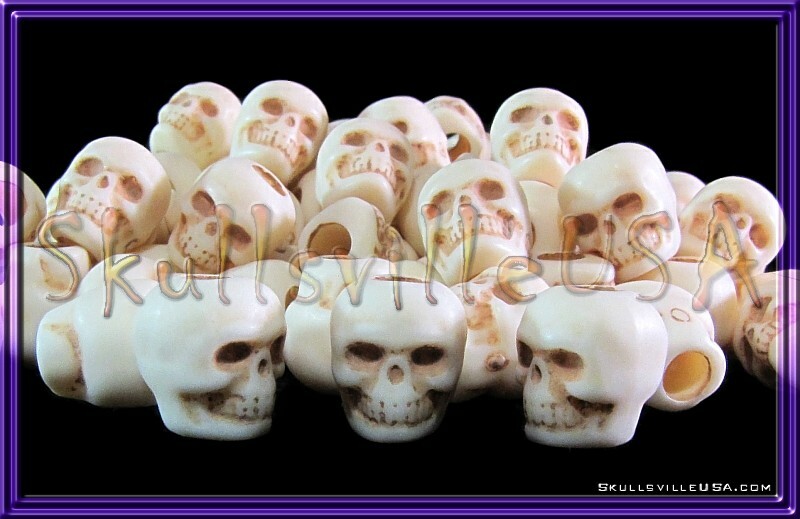 96 Roasted Ivory Acrylic Skull Beads. 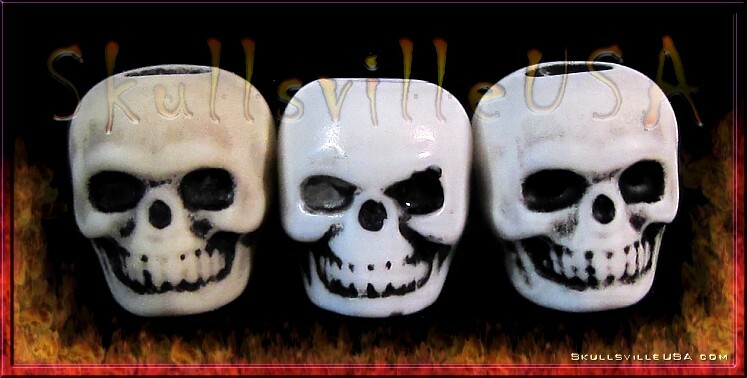 "Ivory" "Ivory Ghost" "Insane Ivory" and "Roasted Ivory" Acrylic Skull Beads. 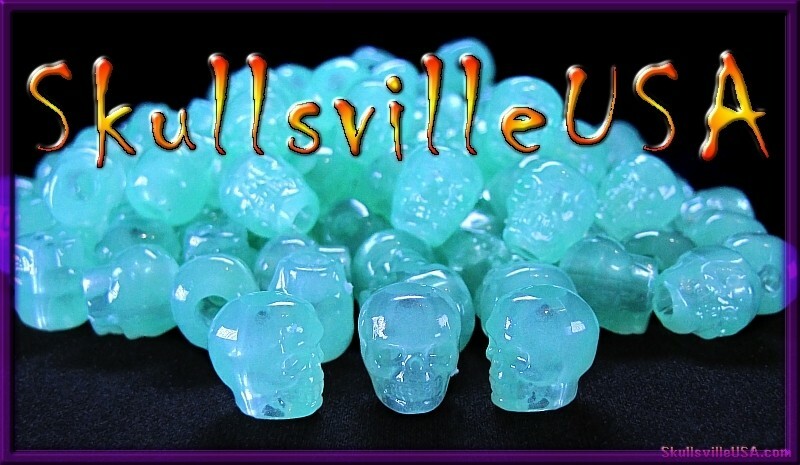 but the Ivory Ghost is slightly darker although it may not appear so in the photo. 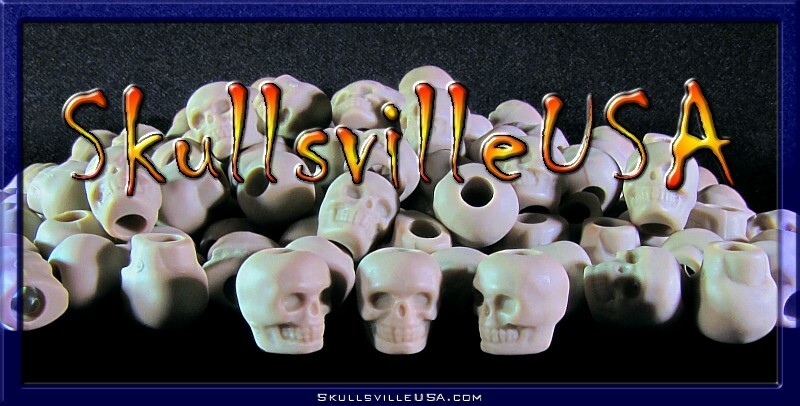 while the other three beads have a dryer, more bone-like feel to them. 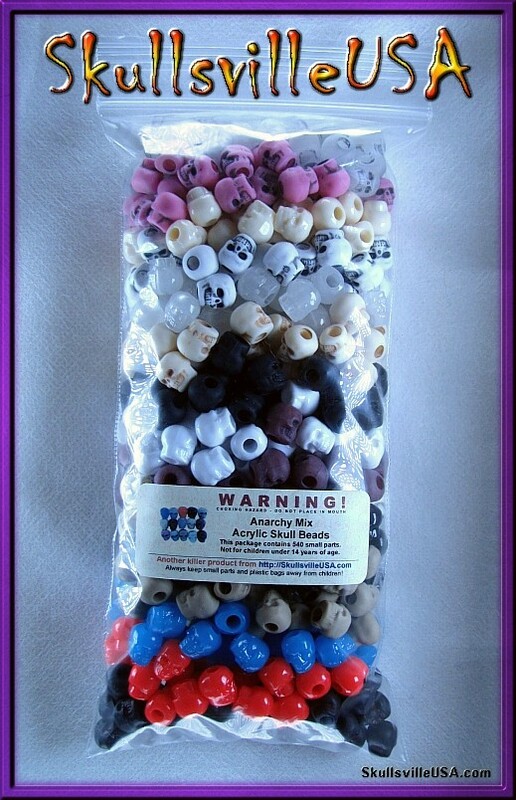 4 Bags of 48 beads each! 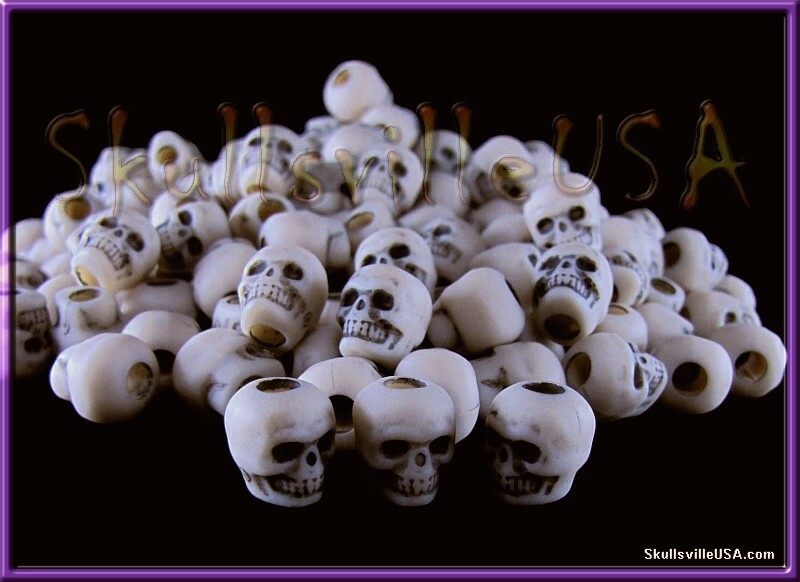 & 48 Roasted Ivory Acrylic Skull Beads! Want more than 1 set? Adjust the quantity you desire in your shopping cart! 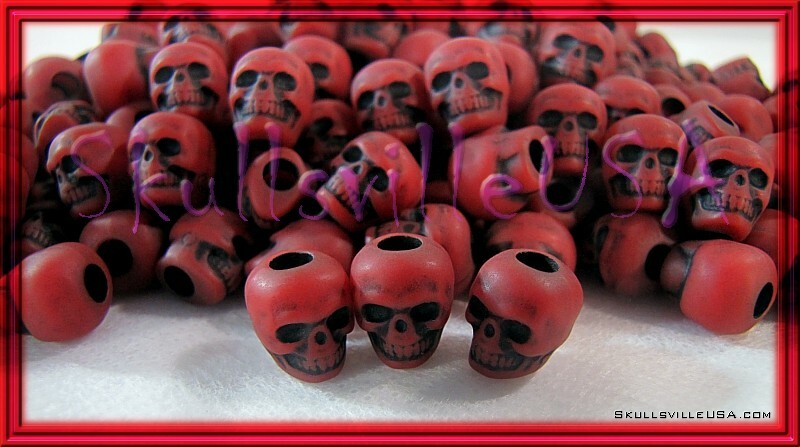 96 Bloodlust Acrylic Skull Beads. 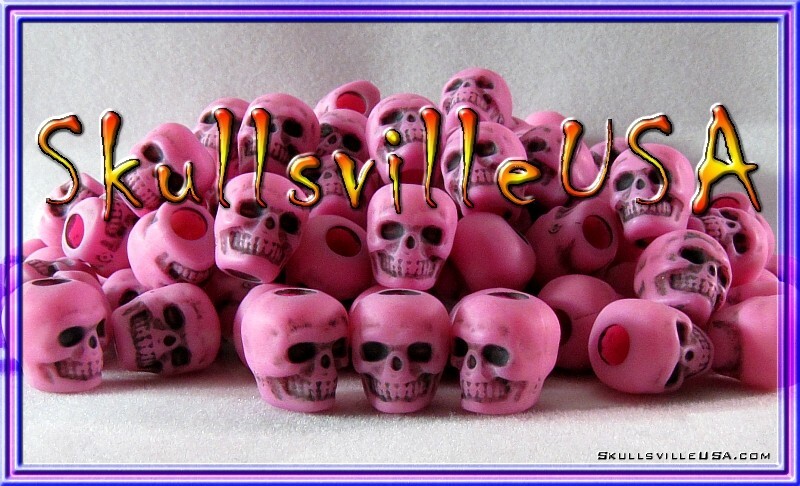 96 Creepy Cranberry Acrylic Skull Beads. 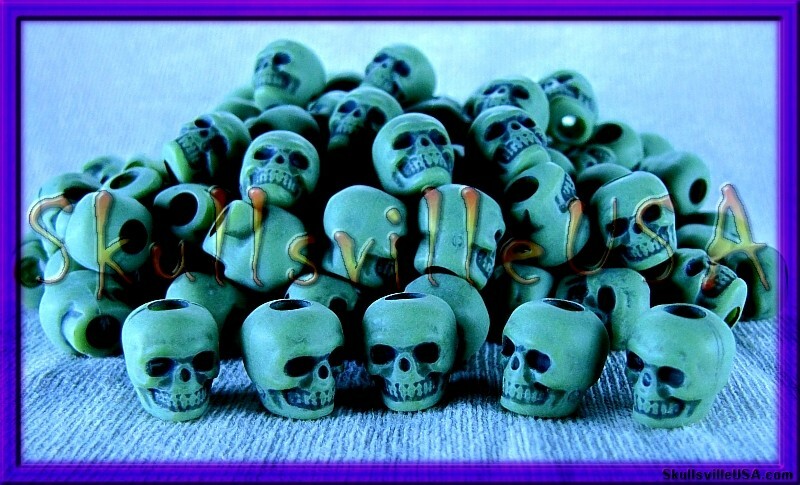 96 Toasted Bone Acrylic Skull Beads. 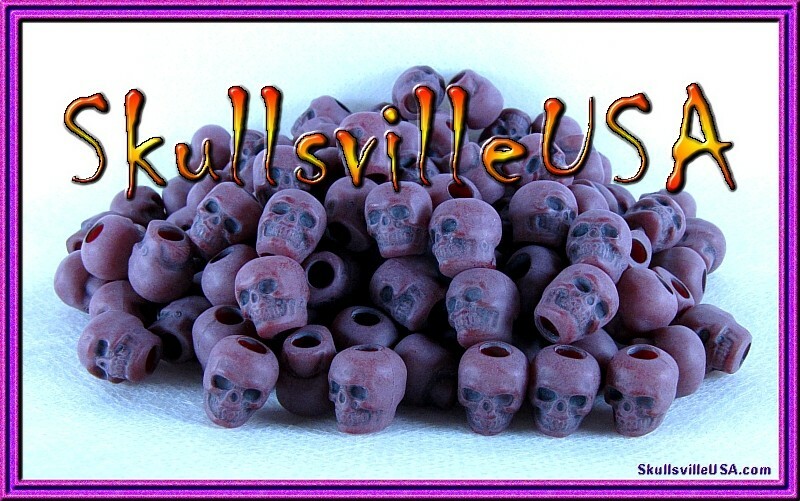 These mind-blowing skull beads are breathtaking! they will be gone forever! Grab yours before they're all gone! Can't make up your mind on which of these superb to get? but just don't know which to try? 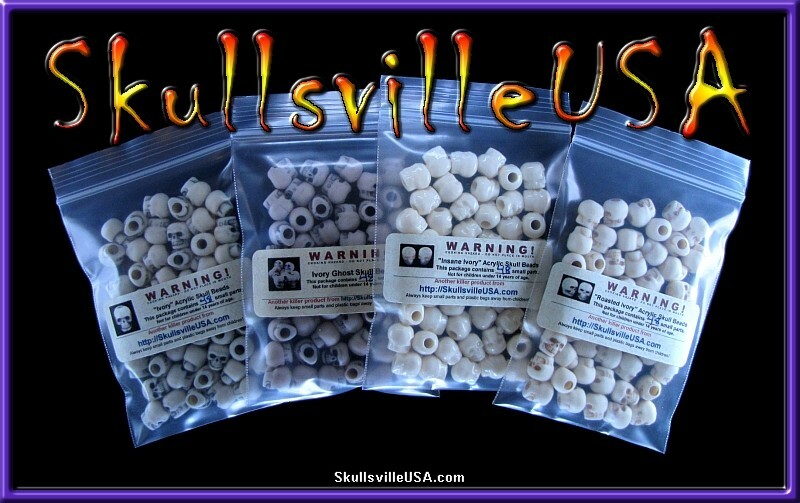 Pick up an Anarchy mix or two! We've put together this crazy mix at an even crazier price! 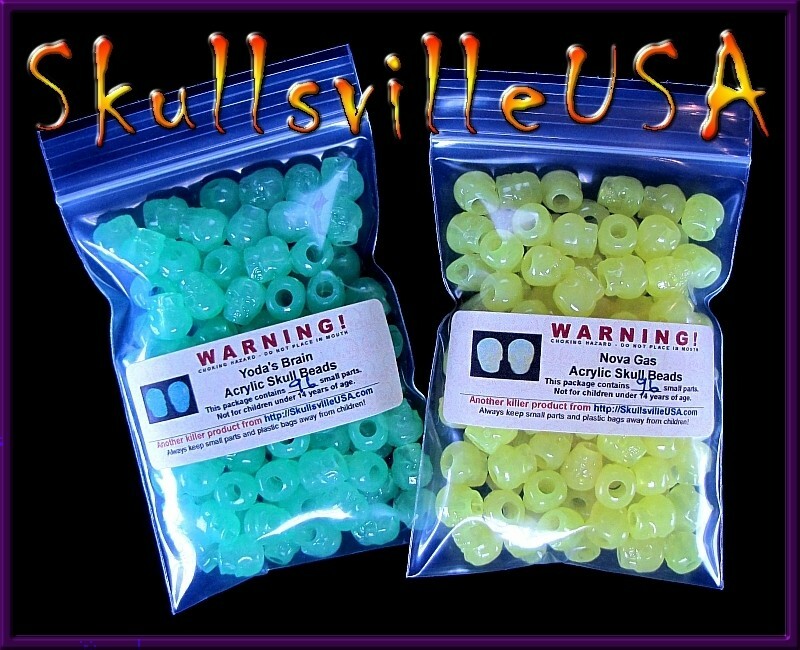 Each bag contains 36 each of 15 different colors. That's 540 beads in total! 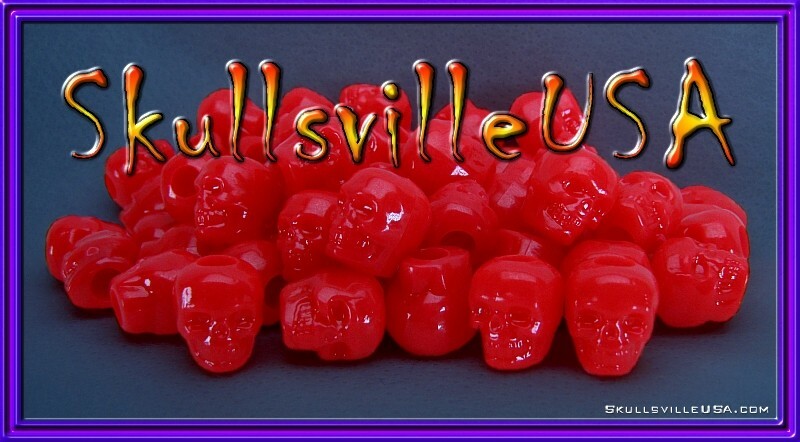 Creepy Cranberry and Bloodlust Acrylic Skull Beads. However... we may be adding other color mixes in the future!! 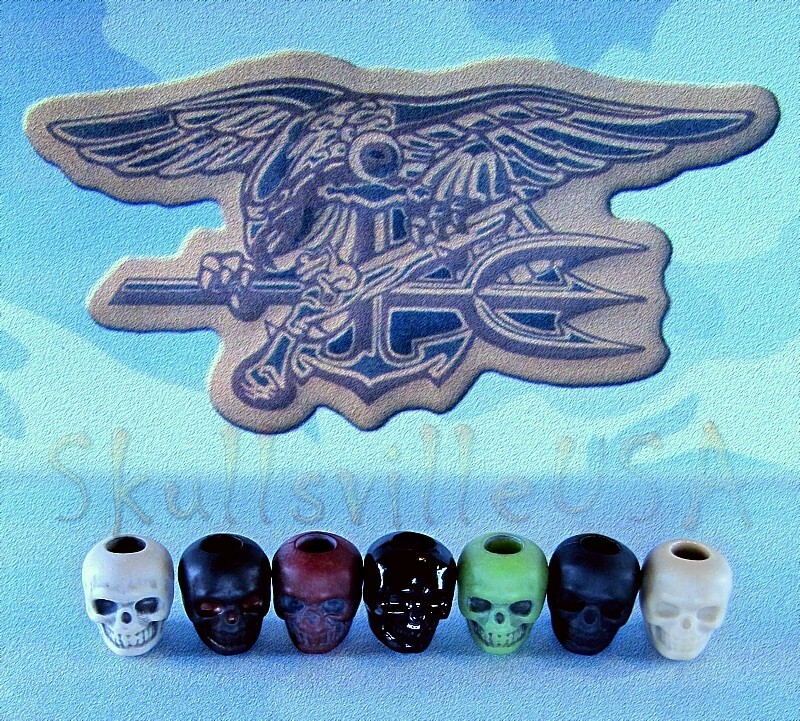 was put together and named by an active Navy Seal. 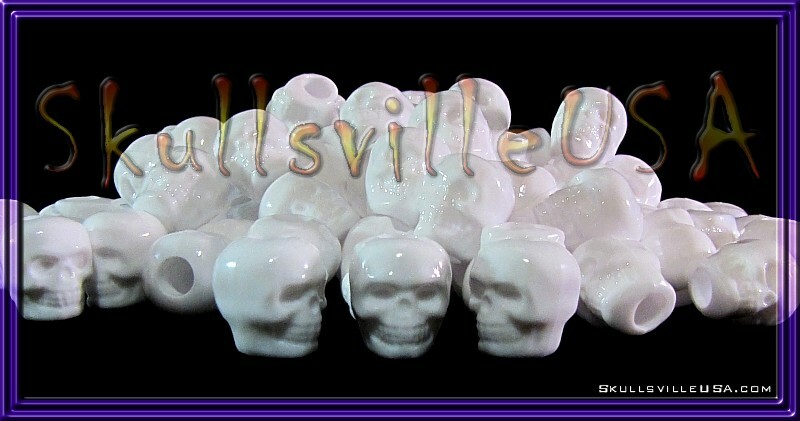 "Mal Ad Osteo" is Latin for "Bad to the Bone"
7 bags with 48 skull beads in each. 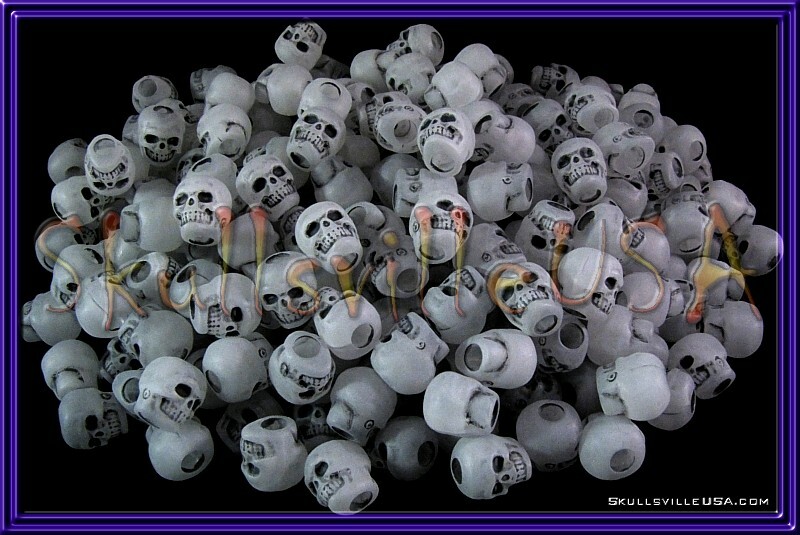 336 skull beads in total! 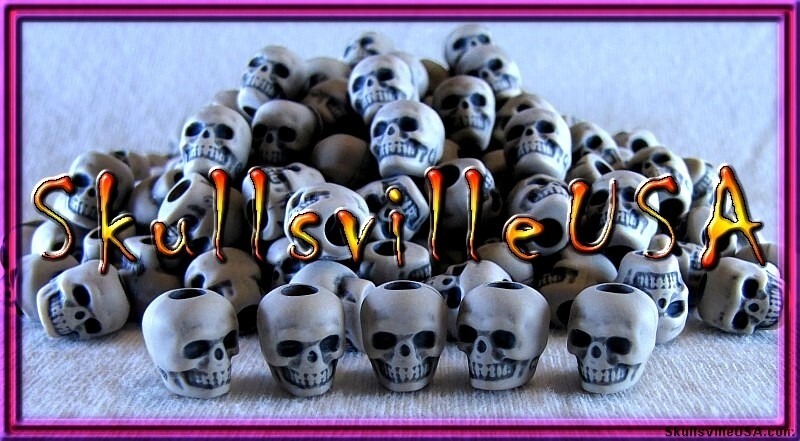 Bad To The Bone Special Price! However... we may be adding other color mixes in the future!